The purpose of evacuation drills is to prepare building occupants for an organized evacuation in case of an emergency. 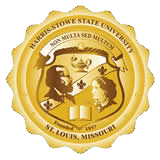 At HSSU, evacuation drills are used as a way to educate and train occupants on issues specific to their building. During the drill, occupants familiarize themselves with the location of exits, the sound of the fire alarm, and direction they should travel upon exiting the building. Campus Public Safety and Residential Life personnel are aware of the relocation areas for each residence hall. The process also provides the University an opportunity to test the operation of fire alarm system components. Evacuation drills are monitored by Campus Public Safety and Residential Life, and to evaluate egress and equipment issues. Reports may be prepared by Campus Public Safety and Residential Life which identify deficient equipment so that repairs can be made immediately. Recommendations for improvements are also submitted to the appropriate departments/offices for consideration. Students may receive information about evacuation and shelter-in-place procedures during informational or educational sessions that they can participate in throughout the year. The Residential Life staff is trained in these procedures as well and act as an on-going resource for the students living in residential facilities. Campus Public Safety and Residential Life conduct tornado drills to assess emergency response and sheltering procedures. Campus Public Safety will announce emergency response and evacuation procedures in conjunction with at least one test per calendar year. Know what your fire alarm sounds like. Know where pull stations are located. When you see a fire, sound the alarm. Contact Campus Public Safety at (314) 340-3333 or 911 to report any fire. Be prepared to identify the size of the fire and location. Close all doors behind you as you leave the building. Do not use the elevators for any reason. If you are physically challenged develop a buddy plan with someone else to help expedite safe exit. Notify others in the immediate area about the fire as you are leaving. Do not enter a building that is on fire or that the fire alarm is sounding in. Do not re-enter a building that you have evacuated for any reason. Never prop open or lock a fire exit door. Report any vandalism to any of the fire safety equipment in your building. The student handbook makes it mandatory for all students to exit the building when a fire alarm is sounding.